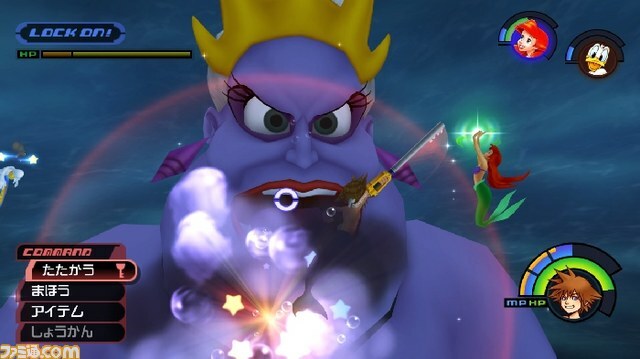 Kingdom Hearts 1.5 HD Remix was a good idea by Square Enix. This is a series that has become utterly incomprehensible for any player who hasn't kept up with each new release over the years, and so packaging three of the more critical stories together will help new players take those first steps into the universe as we wait for the eventual release of Kingdom Hearts 3. Unfortunately for Square Enix this package also brings a serious issue with the franchise into crystal clarity, and explains in some part why I've largely fallen out of love with it, despite loving both Square Enix and Disney. For a series of games that are meant to bring Square Enix and Disney together, after the first title everyone involved in the development of subsequent games seems to have lost sight of that initial idea. Replaying the first game in HD via this package is a real thrill. Being reminded that the vision driving the games has become steadily weaker with each release is not such a great thing. Each of the games in 1.5 HD remix (Kingdom Hearts 1 as Kingdom Hearts Final Mix, RE: Chain of Memories and a cinematic version of 358/2 Days) look decent with the new HD visuals. However, as with most (if not all) HD remakes, environments and characters are upscaled but not modernised. As a consequence we have environments that lack the detail of true current generation games, and characters are bold and blocky and look more like budget animated works than the significant production efforts that they were back in their time. Technical limitations aside, of course all Kingdom Hearts games are aesthetic delights. We'll get on to the lack of true Disney integration into the narratives in a moment, but the settings themselves, largely pulled from classic Disney franchises, are brilliantly realised. 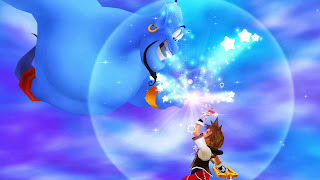 If you're a fan of Alice in Wonderland, or Aladdin, or Hercules, or most other major Disney films that you can think of, you're going to love that the Kingdom Hearts games funnel you from one classic location to the next. It's the same nostalgic thrill ride that something like Disney Infinity offers, but in action-RPG format. Or that would be the case if there is more to these settings than the environments. 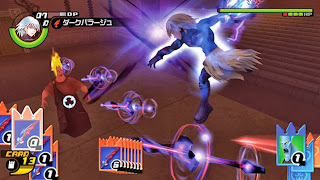 The first Kingdom Hearts did a good job of involving the Disney characters and Disney narrative style into the Square Enix design philosophy, after that game the focus has gradually shifted towards Square Enix's preferred narrative and character structure. 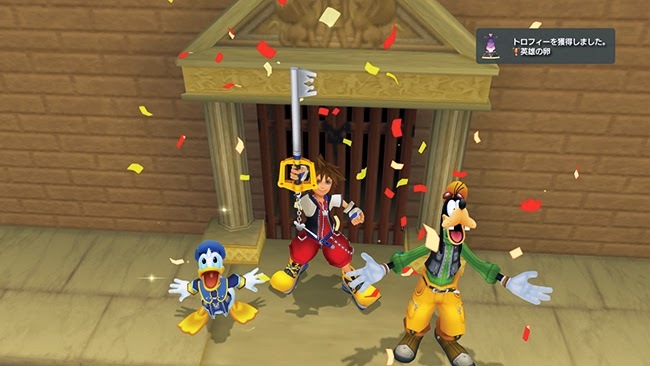 While the Disney characters will show up through these later games as a token towards what the franchise is meant to be about, I find it difficult to support the claim that Kingdom Hearts in in any way a genuine Disney product now. You can see that play out over the three titles in this collection. Kingdom Hearts Final Mix kicks things off delightfully, but by the time you arrive at 358/2 Days everything is so weighted in the kind of JRPG psuedo philosophy that Square Enix can at times indulge in that it's difficult to sit through the 2+ hours that it takes to watch all the cinematics. Of course, there are many people that love Kingdom Hearts for what it is, but this compilation is clearly designed to introduce new people to the franchise, and it's a almost certainty that anyone interested in trying out these games for the first time is a Disney fan. The art is plastered over the cover and most online conversations mention the Disney association in some manner. I do think that people buying this package, and buying into the franchise on the basis that they are fans of Disney will find the overall experience very underwhelming. 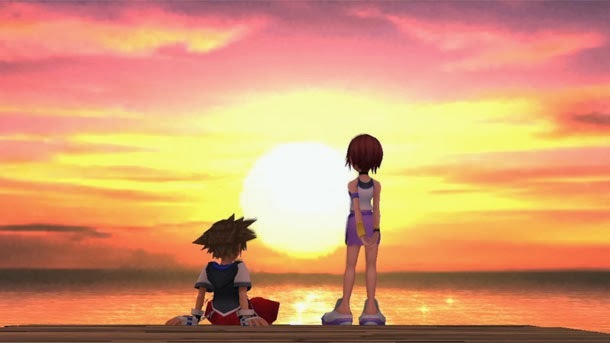 As action RPGs these games have always been playable, and it's refreshing to see that the original Kingdom Hearts remains as enjoyable now as it was a generation ago. I needed to do some small tweaking in the options menu to give myself proper manual control over the camera and then tweak a few settings to make sure the game plays like modern action RPGs, but once I got there Kingdom Hearts feels modern, mechanically. 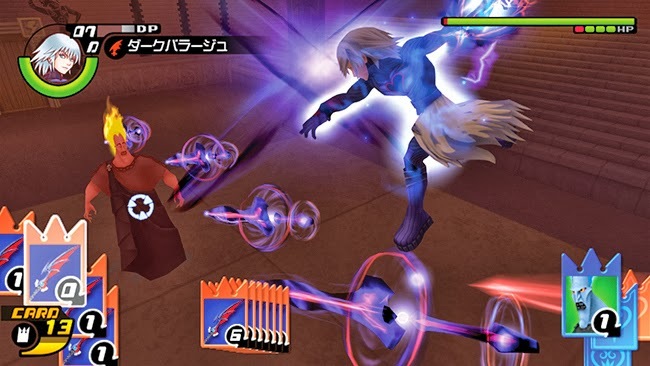 RE: Chain of Memories uses a card-based combat system which hasn't help up quite as well. It works, it's just not as engaging as a "proper" RPG system, and my opinion of the game overall is perhaps soured by the reality that it was at about this point that the Kingdom Hearts series started to lose its narrative edge. 358/2 Days is, of course, not a game in this compilation, but rather a glorified animated movie. Unfortunately it's also the weakest narrative the series has put up. 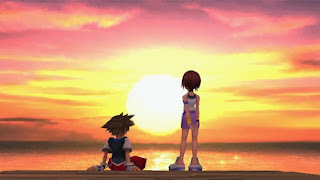 If you're going to get into the Kingdom Hearts series, your only real chance is to start from the first game. 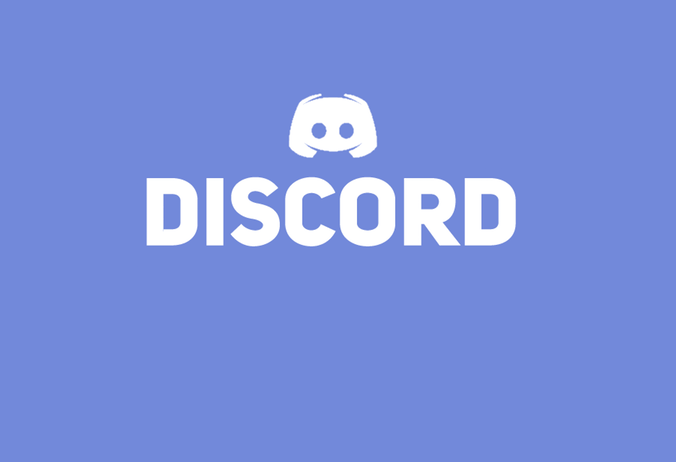 Later games require an understanding of what has come before, and so this compilation can almost be seen as a service to newer players that might not have had the chance to play the original. With that said, this series has largely lost me and I do feel that it is now one of Square Enix's weaker franchises. Fingers crossed that Kingdom Hearts 3, whenever that game happens, can be a return to form. 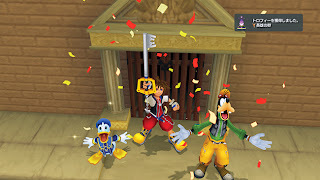 Item Reviewed: Review: Kingdom Hearts 1.5 HD Remix (PS3) 9 out of 10 based on 10 ratings. 9 user reviews.